Just bake a cake in a small round pan and let it cool down. Ice the cake in white frosting. 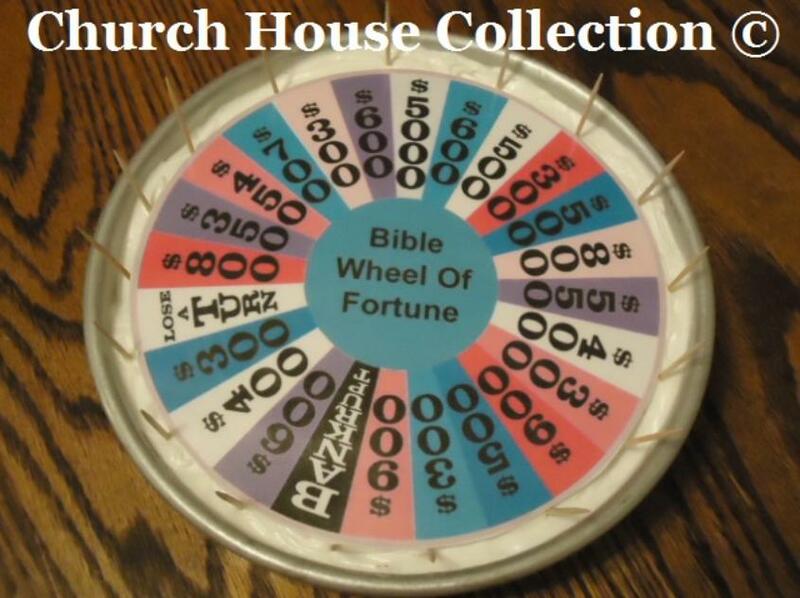 Print the Bible Wheel of Fortune template off. Cut it out and laminate it. Lay the wheel down on top of the cake. Then take some toothpicks or you could use pretzel sticks and stick down in the edge of cake all around for the metal spikes. This is just an easy way to make this cake. If you really want to get all out there then you could attempt the real deal by piping all of it on. I have seen some pretty cool cakes that people made of these and they actually iced all of the wheel on top. I even seen one that actually spun. Once again I was not up for all that. You might want to take the cake out of the cake pan and finish icing the cake. I just left mine in the cake pan. 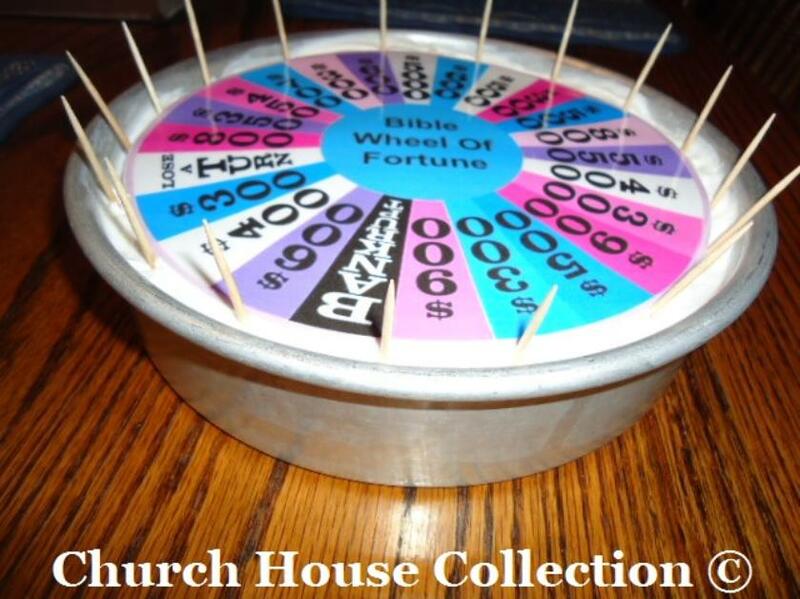 Be sure to check out the Bible Wheel of Fortune Game .